02/26/2015 – APWU President Mark Dimondstein has presented his first update for union members on the status of contract negotiations. 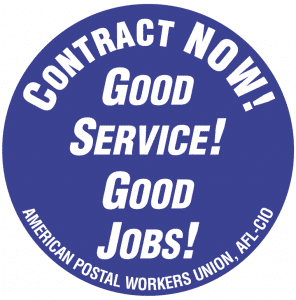 The bargaining report is available to APWU members only. To read the summary, click here. For those who are new to the APWU website — or to the Members Only section — log-in instructions can be found here. Some users are experiencing difficulties logging on. We are working to address the problem and apologize for the inconvenience. This entry was posted in General Union Business and tagged APWU members only, bargaining report, Contract Negotiations, Dimondstein, Members Only section. Bookmark the permalink.